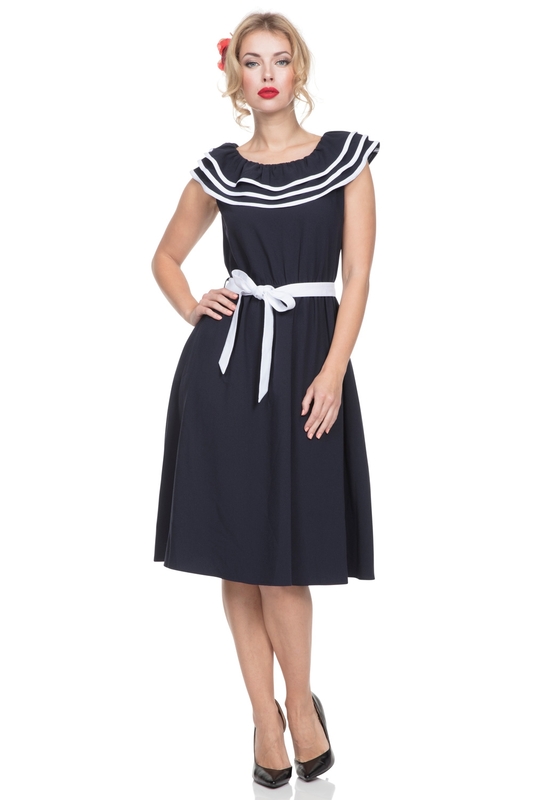 Our Navy Hope dress with its contrast white belt and ruffled collar is giving us some serious nautical vibes. 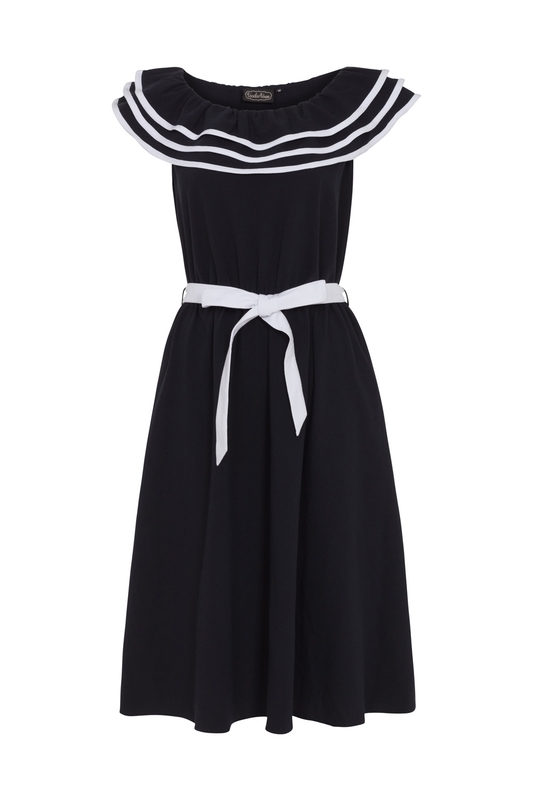 If only every sailor could be as effortlessly stylish as a Vixen wearing this beauty. 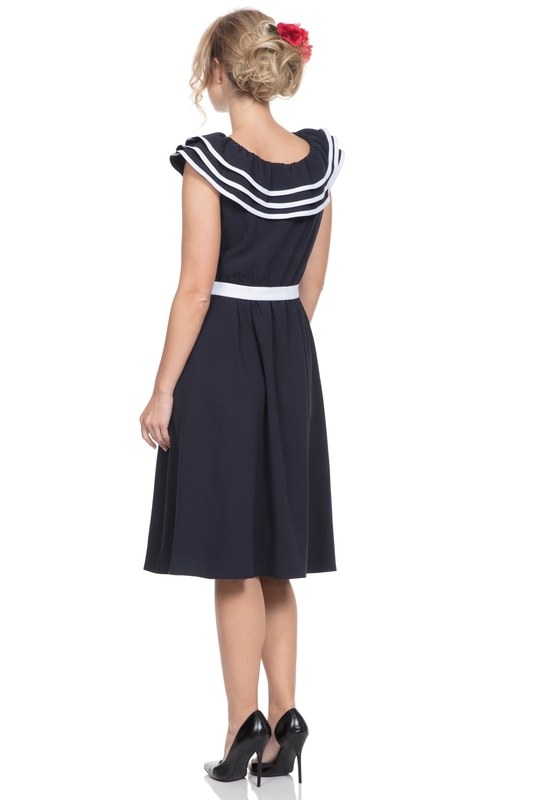 Vintage ahoy!